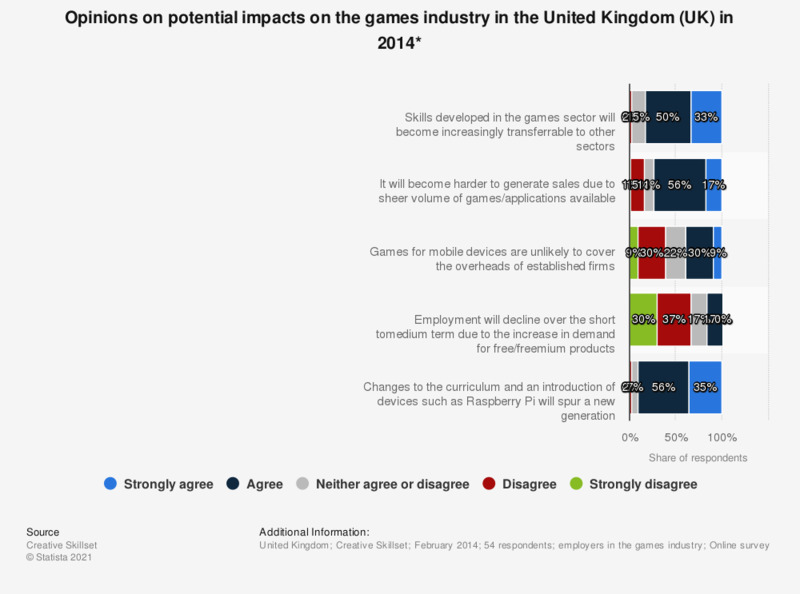 This statistic shows the extent to which employers in the video game industry in the United Kingdom (UK) agree on potential impacts on the future games industry as of February 2014. 17 percent of respondents agreed that it will become harder to generate sales due to sheer volume of games/ applications available. * Original survey statement worded as follows: "The statements below have all been cited as potential impacts on the games industry over the next ten years. Please indicate the extent to which you agree with each statement."